You Solution To Washout Pollution! 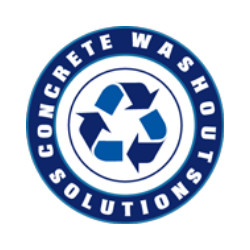 Concrete Washout Solutions is located in Jackson, NJ. The company was created to service the construction industry with a safe, responsible, and environmentally friendly alternative to the old worksite concrete washouts. Concrete Washout Solutions’ primary product is a patent pending concrete washout system that controls, captures, and contains all concrete washout wastewater and material. The services that Concrete Washout Solutions offers are safe, responsible, and environmentally conscious alternatives to the old worksite concrete washouts. We utilize a cost effective and environmentally friendly alternative to concrete washout sites and are on the leading edge of becoming the industry standard in concrete washout removal and recycling.